Have I mentioned how much I LOVE champagne? I did a month of sparkling wine reviews in December and enjoyed every sip! 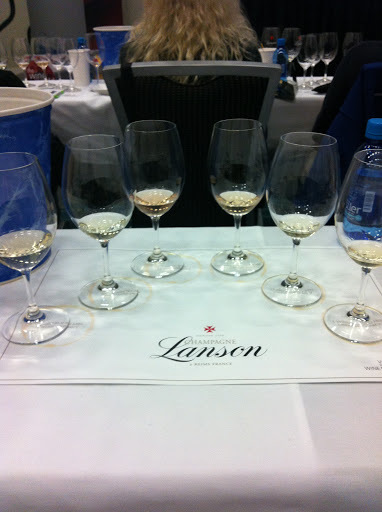 I had the pleasure of attending Lanson Champagne‘s vertical tasting last Friday evening at the Vancouver International Wine Festival. Lanson was started in 1760 and was the 1st champagne to be given the Royal Warrant by Queen Victoria that they still hold today. They have had the same winemaker, Jean-Paul Gandon, for over 40 years which is quite unheard of. Everything I heard made me incredibly excited to tour their champagne house when I go to Champagne in July this year. OMG. From the moment I stepped into the room and was handed a beautiful White Label champagne cocktail with fresh raspberries, I knew this champagne house had me with the first sip. Lanson has recently launched their White Label champagne which is slightly sweeter than their other champagne making it an incredible ‘any time of day’ option! Definitely add an orange rind, fresh raspberry, mint leaf and you are in for a lovely experience. Brunch, anyone? We were led through our tasting by Enguerrand Baijot who is the Managing Director of Lanson Champagne. 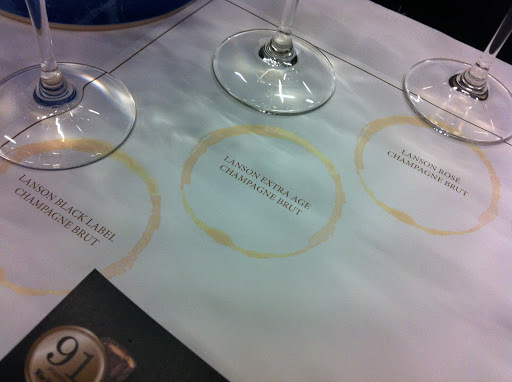 Our tasting included Lanson’s Black Label Champagne Brut that was given a score of 90 points from Wine Spectator. This is their ‘entry’ level champagne with a $64.99 price tag. It was light and crisp with loads of citrus fruit and a lovely colour. This champagne house does not use malolactic fermentation in their winemaking which lets the fruit flavours and acidity of the wine shine through -uninterrupted. Next up was the Lanson Extra Age Champagne Brut that received 92 points. It consists of 60% Pinot Noir and 40% Chardonnay from only Grand Cru and Premier Cru sites. This lovely aged for 8 years before it was bottled. It had some of the same flavours as the Black Label but the complexity was outstanding. It is a full bodied champagne with extra aromas of honey and pear. Simply stunning. Many women LOVE their pink champagne – Lanson was one of the first champagne houses to introduce rosé champagne as a way to encourage women to partake. Mission accomplished! Their lovely Rosé Label Champagne Brut again scored 90 points. It is a beautiful salmon colour and tastes like fully ripe and fresh summer berries. It had a surprisingly long finish and was glorious and delicate. 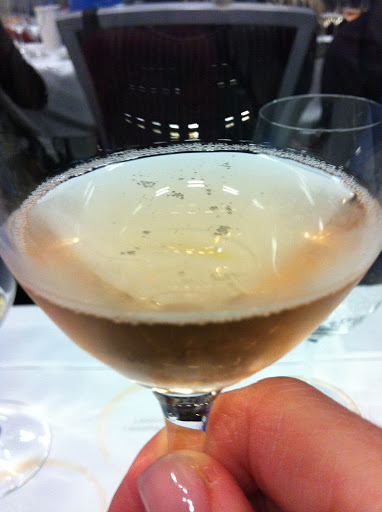 Lanson created another stunning pink lady in their Extra Age Rosé Champagne Brut. Scoring 91 points, it is made up of 65% Pinot Noir and 35% Chardonnay. Their Extra Age Rosé was aged for 7 years in the cellar developing beautiful strawberry jam flavours amazing complexity. Incredible. I didn’t think it could get any better – but it did. 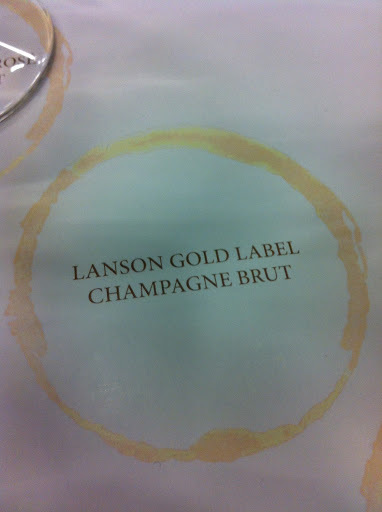 Lanson’s Gold Label 2002 Champagne Brut was next up and oh my goodness…I was in utter champagne drinkers heaven. This divine offering is made up of 53% Pinot Noir and 47% Chardonnay and aged for 10 years! 2002 was a phenomenal year in Champagne and this Gold Label proves it as only 100% Grand Cru sites were used. This is a powerful champagne that is also elegant and delicate. The bubbles from this champagne were persistent and beautiful to watch. It boasted aromas of grape jam, candied fruit and honey. Utterly fabulous. 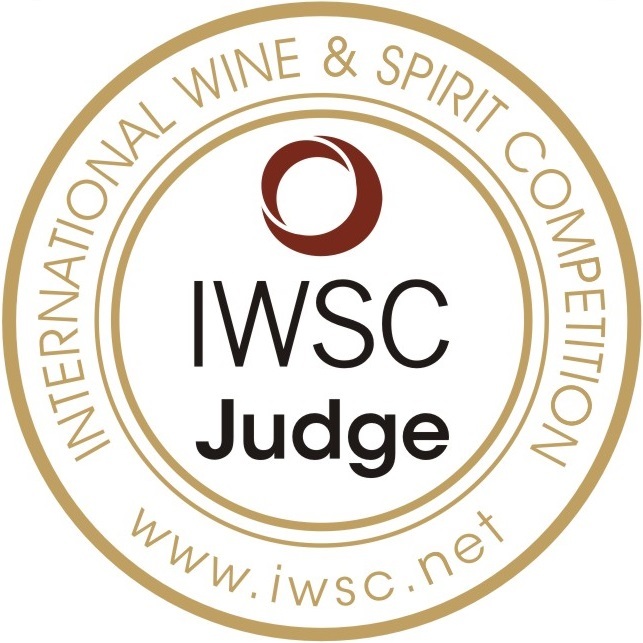 Did I mention it received 93 points? Wow. Finally, something I doubt I will ever have the pleasure to experience again, we were given a tasting of Lanson’s 1976 Vintage Champagne Brut. This beauty was gold in colour and again, as Lanson does not use malolactic fermentation, this 1976 bottle of champagne still had citrus and lime notes with bold complexity. We learned that you can order a vintage champagne from Lanson and they will disgorge the wine for you right then. 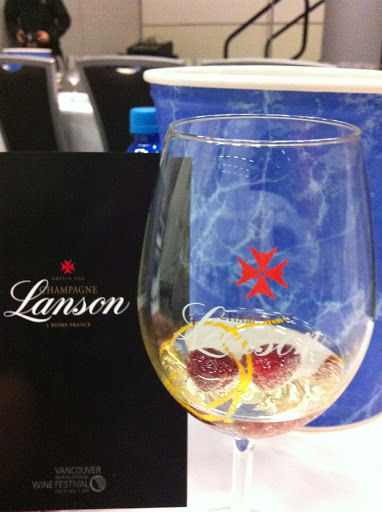 It is 100% Grand Cru of 60% Chardonnay and 40% Pinot Noir which is the first and only time Lanson has had Chardonnay as the majority of the blend. It is rich, powerful and a bit mind blowing! Whew – what a night. 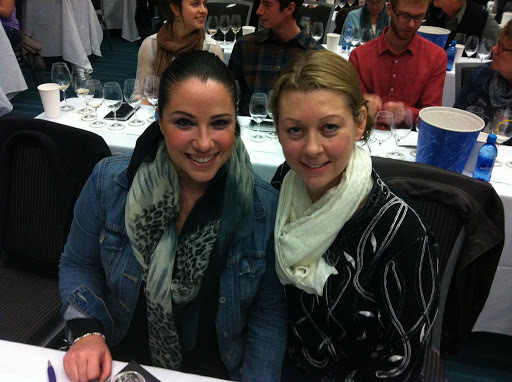 I was there with my lovely WSET pal Brooke and her hubby. I was amazed at the vibrancy of the aged champagnes and purchased a bottle of the Black Label Extra Age at the VIWF liquor store the following night for $84.99.